❝ In case you missed the news, the Massachusetts House and Senate…did something big that we should all celebrate. By passing major energy bills, they have set the Bay State on a path of reduced reliance on fossil fuels while propelling our state towards a clean, affordable, and reliable energy future in which up to 50 percent of our electricity will come from hydropower, onshore and offshore wind turbines, and solar arrays. These actions will also drive investment in energy storage and continued gains in energy efficiency. ❝ These bills move the state in the right direction at a faster pace by diversifying our energy supply, cutting greenhouse gas emissions, and creating jobs and careers in new industries. By combining the most ambitious parts of the Senate and House bills, Massachusetts can blaze a trail to a clean energy future that others across the country and the world will follow. I’m not surprised that Massachusetts demonstrates leadership in reforming energy use and abuse, generation and alternatives. They did the same in healthcare. They did the same for decades in disciplines as far afield as fighting slavery and, yes, kicking-off a certain revolution against colonial masters. The equivalent of those colonial masters now have names like the Koch Brothers instead of King George. They still consider the working people of this land to be nothing more than wage slaves to be “guided” to producing the greatest profits in return for the least return needed to sustain life. States like Massachusetts – with sufficient courage and ingenuity – can move the whole nation forward by example. As they have done in the past. ❝ A top Senate leader and at least 10 other conservative Kansas legislators have lost their seats as moderate Republicans made GOP primary races a referendum on education funding and the state’s persistent budget woes. Senate Majority Leader Terry Bruce was among the lawmakers ousted amid a backlash against Republican Gov. 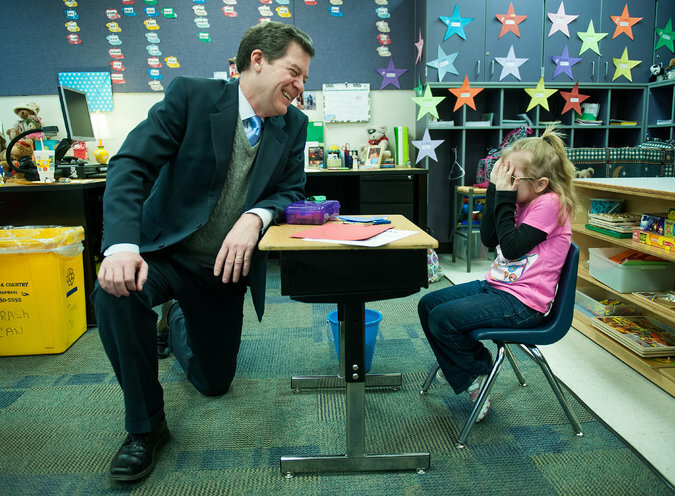 Sam Brownback and his allies. ❝ The voting occurred against the backdrop not only of the state’s fiscal woes but ongoing legal and political disputes over funding for public schools. The state Supreme Court could rule by the end of the year on whether the Legislature is shorting schools on their state aid by hundreds of millions of dollars a year. “He seemed to care more about what the Brownback administration wanted rather than what the people he represented wanted,” said Mary Dondlinger, an 80-year-old retired Hutchinson teacher and Republican who voted for Berger. Cross your fingers and keep at it, folks. This just may foretell the next best news we may get from the big election in November. I’m more and more confident about Trump failing in his Tea Party Putsch; but, I really hope a batch of Americans wake-up to the threat to everything from education to science to the rule of civil law from populist poopchutes. Might be nice to have a return to essential debates over differences in approach to progress – instead of how many angels fit atop pinhead reactionaries and their ignoranus fears. ❝ Watching a lot of television every day may increase your risk of dying from a blood clot in the lung, according to new research in the American Heart Association’s journal CIRCULATION. ❝ From 1988 to 1990, Japanese researchers asked 86,024 participants, age 40-79, how many hours they spent watching TV. Over the next 19 years, 59 participants died of a pulmonary embolism. Toru Shirakawa, M.D., study first author…said the findings may be particularly relevant to Americans. 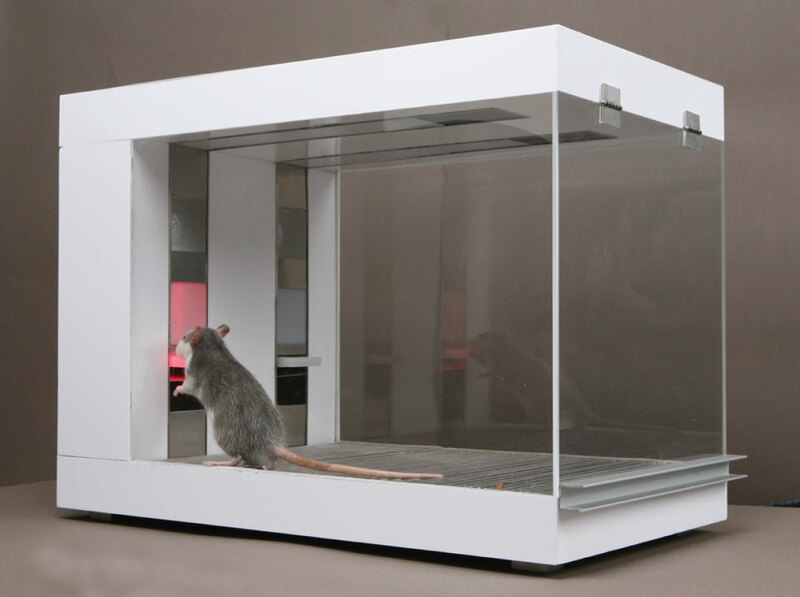 ❝ Rattraders is an experiment in which I trained lab rats to trade in the foreign-exchange and commodity-futures markets. With the help of these rodents, I managed to outperform some of the world’s leading human fund managers. My motivation was to find out what kind of highly paid jobs will eventually be replaced by machines — or, as was the case here, by rats. Like the work of many in this field, my research indicates that all jobs that do not require human-to-human interaction may be replaceable. I focused on brokers because of their high earnings, but the job itself seems to be based on pattern-recognition capabilities and the ability to avoid distractions. I figured that rats might be up to the task.